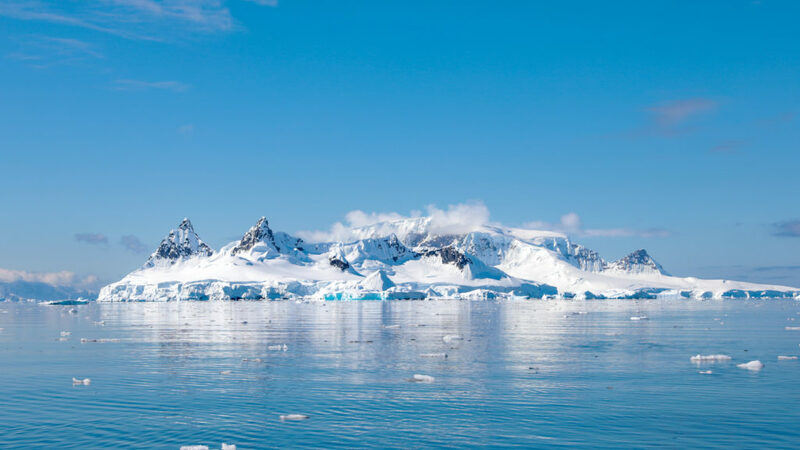 This week a regular client came back from Antarctica with over 3,000 photos! It was an amazing trip. They were excited to share the experience with friends and family and the plan was to curate things down to the best photos then design and create a printed book. However, my client was overwhelmed at the thought reviewing so many photos. Fortunately, Lightroom comes equipped with a whole host of keyboard shortcuts that can really make things a lot easier when dealing with large volumes of photos. Without a doubt, Adobe Lightroom (Classic and CC) is one of the most sophisticated applications on the market today. The depth and complexity of Lightroom make keeping track of all the features no easy task. To that end, Adobe has built in keyboard shortcuts to make it easier to navigate, choose tools and manipulate photos and metadata much easier. A “keyboard shortcut” means either simply pressing a key, or combination of keys, to invoke a feature or tool. And Lightroom has over 300 keyboard shortcuts!. To be clear, a few of those shortcuts are meant to work in only one module; they may do something else in a different module, giving a result we don’t expect. Given the total number of shortcuts, unless you have a photographic memory (haha), it would be a near impossible task to memorize them all! So, we’ve made an easy to use PDF cheat sheet of the most useful shortcuts you can download to help. See below for a fully updated version, which is based on our previous post on the same topic. 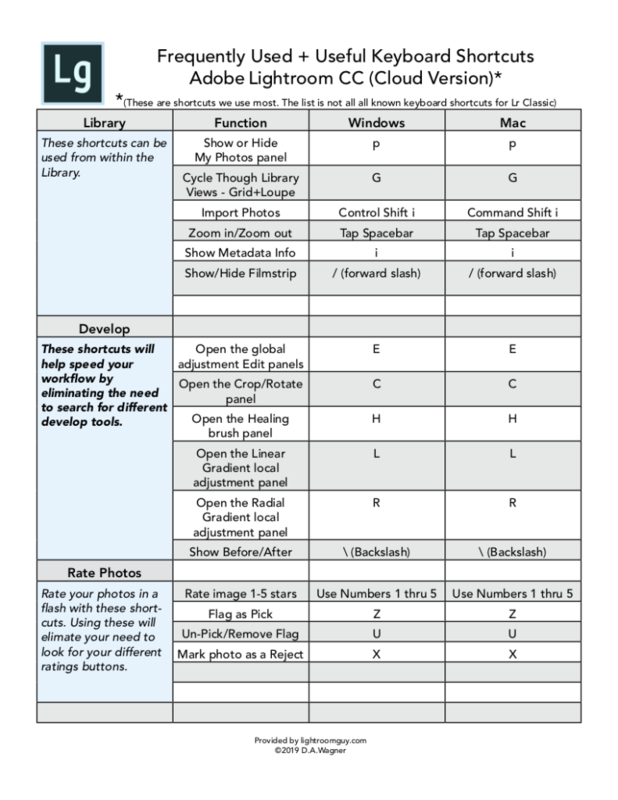 We’ve curated our cheat sheet to reflect only the most useful shortcuts, based on our years of experience using and teaching Lightroom. 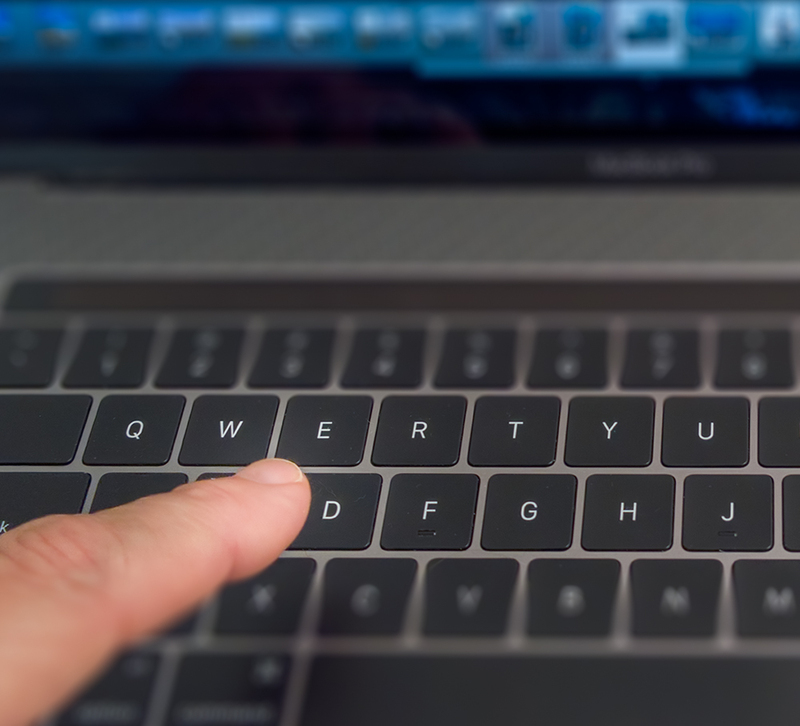 For a comprehensive list, Adobe maintains a searchable list here: Keyboard Shortcuts for Lightroom Classic CC. You can also find a comprehensive list in the last chapter of the official Reference Manual for Lightroom Classic CC. Check our previous blog post on that topic to download full, searchable PDF of the manual. So why use keyboard shortcuts? Quite simply, they save monumental amounts of time and effort in your selection and developing processes. While it might be a bit daunting to learn which keys do what, the more you use them the more you will remember which keys do what. 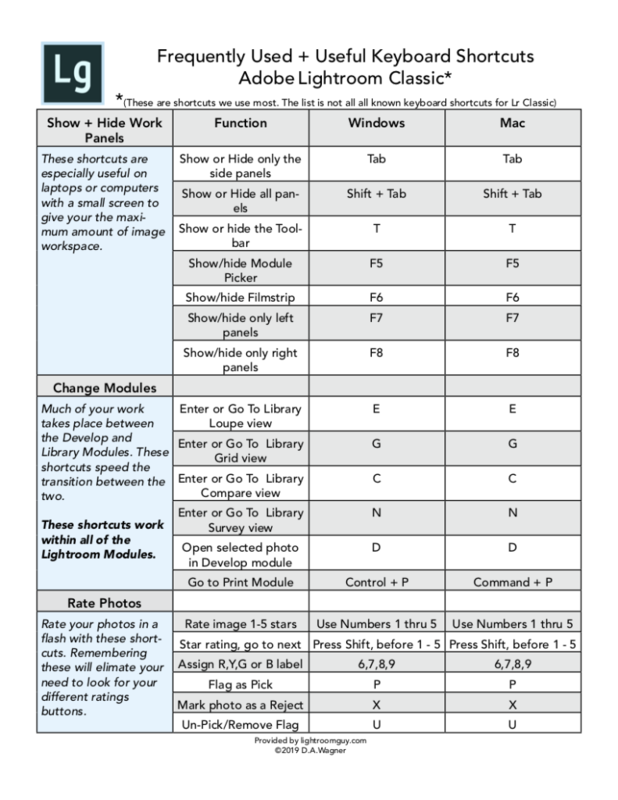 We’ve made cheat sheets for both versions of Lightroom. Click on the links below to download a PDF now!